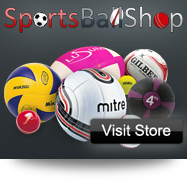 Welcome to SportsBras.co.uk. We are here to help you find the right sports bra for you. Over 80% of woman in the UK wear the wrong bra size, not to mention the wrong Sports Bra size. We have set up a helpful calculator to work out your exact bra size along with a guide on how to measure. Not wearing a sports bra whilst exercising can lead to breast pain, tension in the upper back and neck and breaking down of the ligaments that support the breasts. As an estimate, it is said that at least 60% of women experience breast pain whilst exercising and many women are prevented from sport and exercise because of this. A sports bra is a serious piece of equipment and the fitting should not be taken lightly, this piece of clothing is as important as a good pair of running shoes. Are There Different Sports Bras According To Sport? The answer is yes and no to this question. Sports bras are designed according to impact level, not sport. However a lot of companies assign different bras to different sports, including ourselves as we feel this helps our customers. We have researched what bras can be used with what sport according to the impact that sport has on the body. What Do Sports Bras Offer? Sports bras are designed to offer maximum Support and Comfort in high impact activities. Most sports bras have 2 layers of fabric which offer compression and maximum support. Fabrics which have technical facets such as wicking, CoolMax and anti chaffing are used to ensure you are cool and comfortable at all times. Sports Bras are designed to mould to your body to ensure maximum support and comfort, was after wash.
That has been true for a number of years, but there has been a lot of innovation in the sports bra industry and gone are the days of the monoboob or flat chest. Modern Sports Bras now come fully equipped with padding and support to make you feel supported but feminine at the same time. New colours and styles are being introduced into the market all the time and there has been a lot of positive feedback so far. We hope you enjoy your shopping experience with Sports Bra Shop and would love to hear from you if you have any questions at all in regards to Sports Bras.